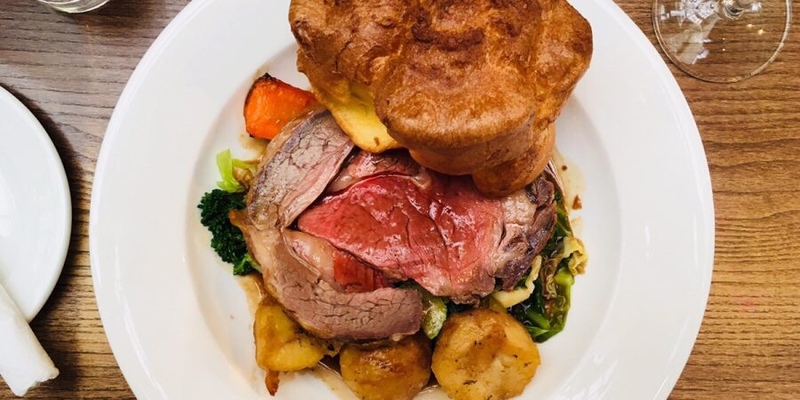 The Sunday lunch is a staple for many of us, but with lots of restaurants, bars, hotels and cafes across the city cooking up a storm, why bother making it at home? Here’s my top 10 venues for all you hungry folk looking for a decent bit of grub come Sunday – without the washing up. In my (moderately) humble opinion the best Sunday lunch in Birmingham can be found at The Red Lion in Hockley. Sister to The Lord Clifden – which also does a decent roast – this boozer goes all out come the Sabbath day. Portions are ridiculous, the gravy is incredible and you can mix your meats. Pay extra for the cauliflower cheese side and thank me later. This pub has been open since dinosaurs ruled the earth, and every Sunday the team here go all out in the name of roast dinners. The Yorkshire puddings and honey parsnips are perfection and there’s a big selection of meat and veggie options to choose from. These guys also support and feed the homeless at Christmas so they get an extra tick for that. Undoubtedly one of the best value Sunday lunches, The Wolf offers decent sized portions in a relaxed setting. The beef is my preference here, and the homemade gravy and celeriac mash are excellent. This place also does a mean cauliflower cheese, but there’s a few other sides you can add too. 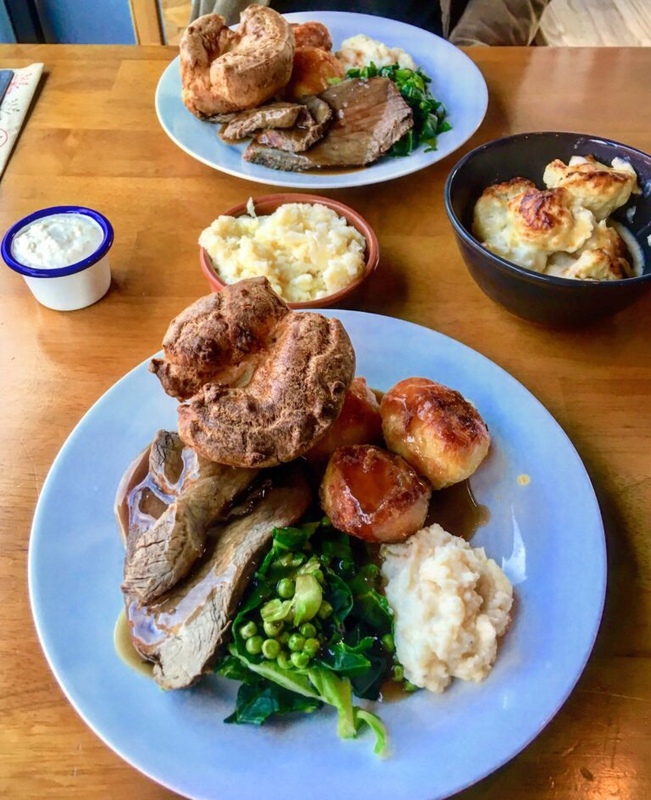 Use your Independent Birmingham card for 15% off the whole bill, making the roasts about £8. A very new addition to the Sunday lunch scene is Baked in Brick, found within The Custard Factory. If you’ve eaten anything from these street food favourites before you’ll know it’s all about big flavours, and this is no exception come the weekend. Every Sunday they offer a meat and vegetarian option and, in keeping with their now permanent bricks and mortar base, all puddings come with proper custard. Pre-booking is utterly essential. God bless Brum’s newest addition, found on Bennett’s Hill. 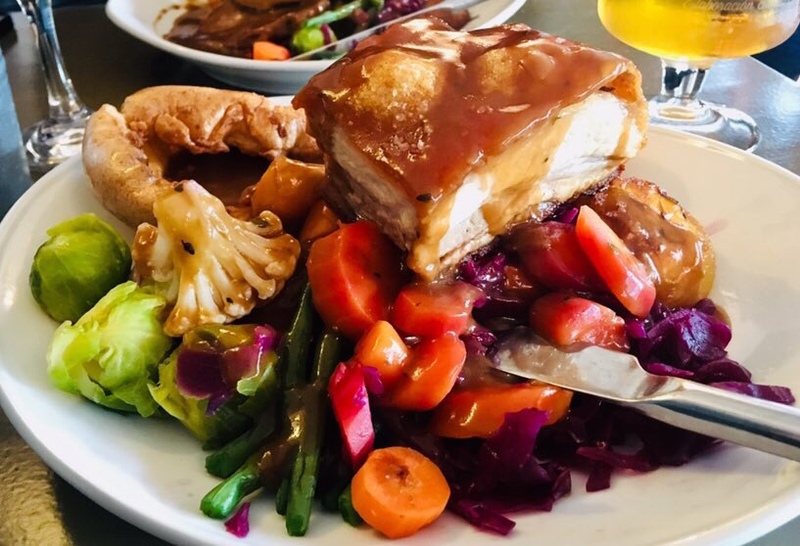 Pint Shop is not only serving up some top class pub grub, the Sunday dinners are quite fabulous. The head chef hails from Opus and the individual items that make up the roasts are excellent quality. 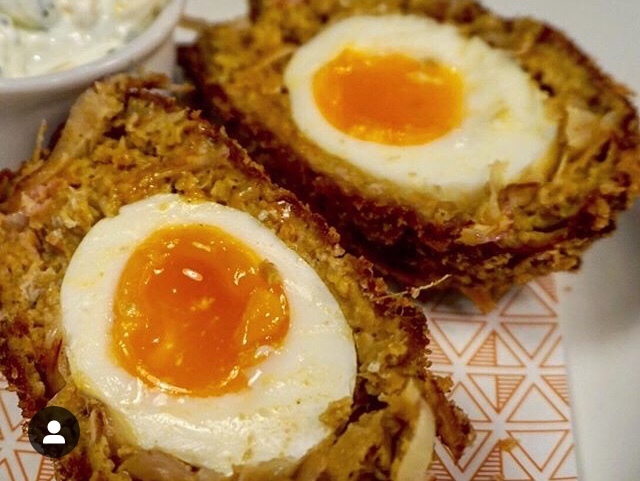 Don’t forget to order the much coveted onion bhaji Scotch egg to start – it’s worth the hype. If like me your ideal Sunday involves eating until you require rolling out the door, I highly recommend Hotel du Vin. 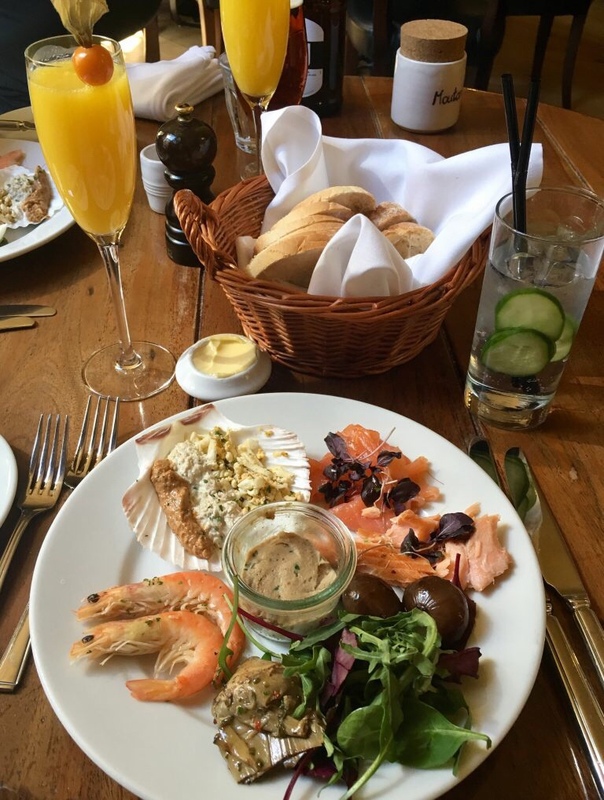 The legendary lunch, served in the bistro, includes four courses including an all you can eat stop via the French market table, packed with seafood and cured meats. If you like your roast dinner in a fancier environment with some great wine, this is a great shout. More of an event than a pit stop, come hungry and set aside a good two hours. 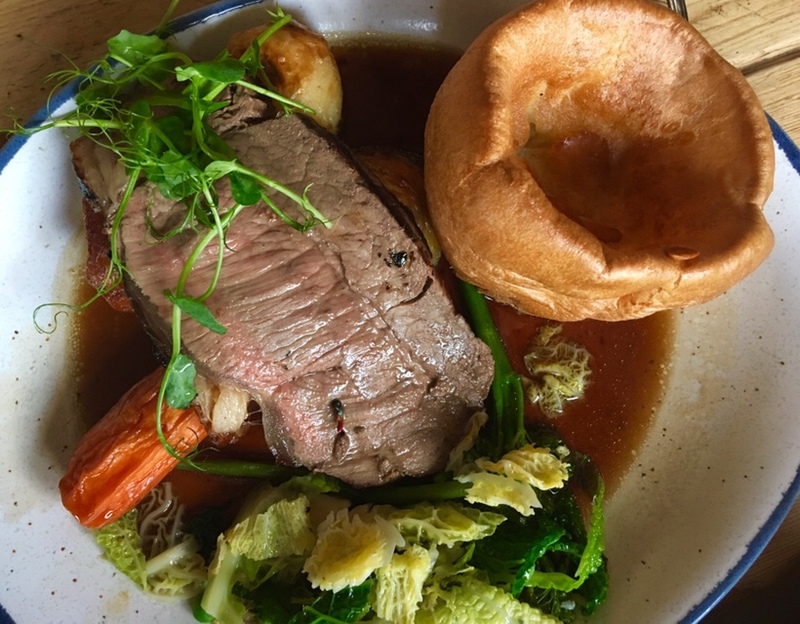 If you like a decent slab of roast beef you can’t go wrong with the Sunday lunch at this new(ish) Moseley restaurant. High quality ingredients, beautiful presentation and warm service makes this a must-try spot for a roast dinner with style. The roast spuds here are dreamy. Perhaps a bit of a rogue option here, but the tea room at the back of Birmingham Museum and Art Gallery is knocking out some decent roasts, particularly if you’re vegetarian. As well as the usual meat options, this frequently overlooked dining space does a cracking mushroom Wellington. The roast potatoes are top notch too. If you like pork belly as your roast then Juju’s Cafe just behind Brindleyplace is the restaurant to try. 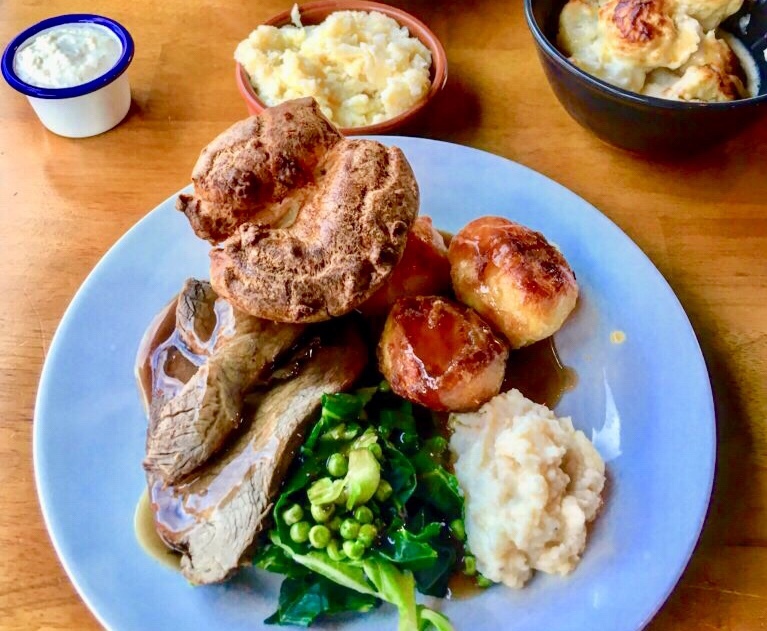 I love this place – the portions are hearty and the service is so friendly you’ll feel like you’re at your mum’s house for a roast dinner. It’s best to book in advance as they usually run out mid afternoon. 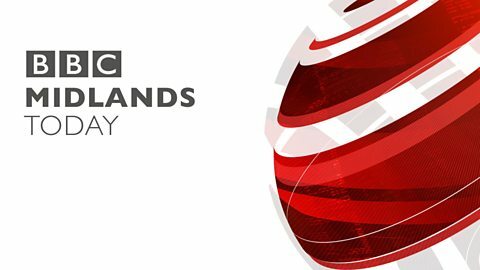 Heads up, you get a free drink if you flash your Independent Birmingham card, too. 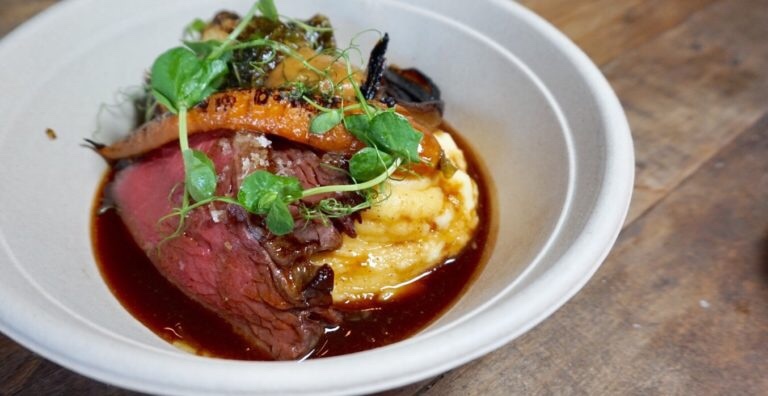 Sundays sessions are now a regular feature of Digbeth Dining Club, and there’s some seriously good grub going if you fancy an alternative lunch. The lineup changes but look out for the likes of Homeboys and Andy Low N Slow who have been bringing dreamy dishes, ideal for meat lovers looking for something a bit special. 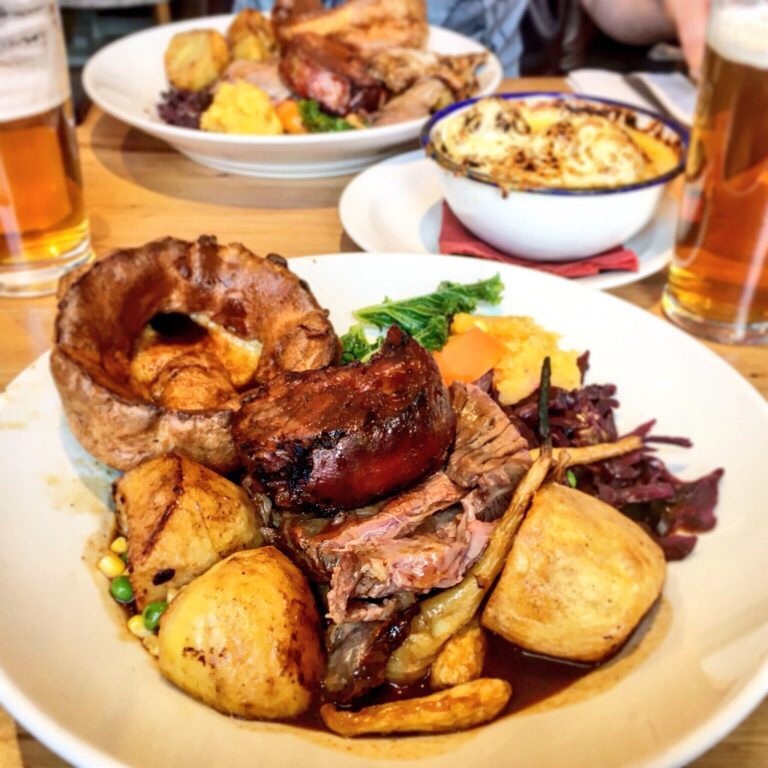 Where is your top pick for the best Sunday lunch in Birmingham? Let me know in the comments.